"Thermodynamic Theory of the Evolution of Living Beings". 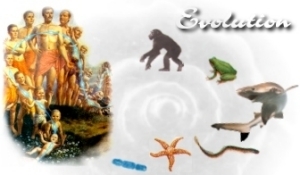 This work is devoted to the physical theory of the biological evolution. The theory is based on macrothermodynamics, i.e., the hierarchic thermodynamics of complex systems. The results of the studies presented in the book allow one to state that the peculiarities of the evolution of living beings, as well as the peculiarities of the chemical evolution, can be explained without the concepts of the dynamical self-organization and the dissipative structures. According to the second law, the tendency of the evolution of biological systems on chemical and supramolecular levels can be determined by studying the effect of thermodynamical self-organization (self-assembly). The criterion for estimating the evolutionary development of supramolecular structures of biosystems (biotissues) is given by the variation of the specific Gibbs function of their formation. During the processes of ontogenesis, phylogenesis, and biological evolution in general, the specific supramolecular component of the Gibbs function of a biosystem, that is quasi-closed thermodynamically and kinetically, tends to a relative minimum. The value of this minimum is a characteric of the given biosystem surrounded by the given environment. The non-stationary theoretical model presented in the monograph explains the reasons causing the variations in the chemical composition and structure of living beings in the course of ontogenesis, phylogenesis, and the evolution in general. It also allows to find out the rules determining the variations in the composition and structure of a biosystem during its adaptation to the external conditions. At present, it seems that the most essential applications of the theory relate to the study of the living creatures behaviour and to gerontology, pharmacology, diet, nutrition. The book is written as an interdisciplinary monograph and is designed for a reader with university education. During the last decades, an opinion has widely spread that there is «the apparent contradiction between biological order and laws of physics - particularly the second law of thermodynamics». Besides, it is claimed that this contradiction «cannot be removed as long as one tries to understand living systems by the methods of equilibrium thermodynamics». The author of the present work states: if living systems are described in the framework of hierarchic equilibrium thermodynamics, this contradiction does not exist. From the Book: "Thermodynamic Theory of the Evolution of Living Beings"
For many decades, the opinion was widespread that natural open biological systems are far from an equilibrium state. It was also believed that far from equilibrium processes take place in these systems. Indeed, if this is true, then thermodynamics–thermostatics (or the thermodynamics of quasi-equilibrium systems and processes)–cannot be applied. However, recently, the law of temporal hierarchies was formulated. This law substantiates the possibility of identifying (discerning) quasi-closed monohierarchical systems (subsystems) within open polyhierarchical biological systems. It was also established that, as a rule, the processes of evolution in living natural systems are quasi-equilibrium processes. It was shown that models of living systems are analogues of models of equilibrium (quasi-equilibrium) chromatographic columns. These facts allowed creation of the quasi-equilibrium thermodynamics of near to equilibrium quasi-closed systems. This thermodynamics is based on the statement that the functions of state (with a good approximation) at any moment of time in quasi-closed monohierarchical systems have a real physical meaning (sense). Thus, classical thermodynamics in a linear approximation (the thermodynamics of near to equilibrium systems) at the phenomenological level can be used for the investigation of the origin of life, biological evolution, and the development and aging of organisms. The investigations are carried out in terms of kinetic (dynamical) linear thermodynamics. It has been shown that the variation of the chemical composition of living beings in the course of ontogenesis and phylogenesis is a consequence of change in the mean specific value of the Gibbs function for supramolecular (intermolecular) interaction in formation of supramolecular structures of an organism's tissues, which tends to a minimum. More strictly speaking, this variation is connected with the trend of mean specific values of the Gibbs function related to a unit of volume or mass at all hierarchical levels to a minimum. The principle of the substance stability–feedback–has been formulated. It is applicable to any biological systems (belonging to different hierarchies). For instance, this principle explains the accumulation of a substance with a chemically high energy capacity by biological systems in the course of evolution and aging of living beings. This substance forces water out of these systems. The arguments presented in the author’s works (in my view, well-substantiated) indicate that practically all concrete (detailed) recommendations relating to nutrition (and lifestyle) are individual. They should be formulated on the basis of general and anti-aging medicine (gerontology) and should take into account the findings of physicochemical dietetics. Nevertheless, the thermodynamic theory of biological evolution and the aging of living organisms (built on the foundation of classical science) provides an opportunity to formulate general concepts pertaining to nutrition and helping prolong healthy human life. Diets promoting a long and healthy life should, of course, comprise only ecologically clean foods. They should be balanced as to composition and caloric value. It is extremely important for a diet to include foods from cold (deep) regions of the sea and foods made from plants and animals inhabiting cold and Alpine regions. It is also desirable that the biomass used should be that of young plants and animals. What is more, we should use predominantly food prepared from the biomass of ancient species, living organisms with a low phylogenetic development level (standing at early stages of phylogenesis). Food for which young (ontogenetically and phylogenetically) plants and animals were used is not only gerontologically valuable but also, for obvious reasons, has a low caloric value. It is also known to prolong healthy life and is certain to increase general longevity. Pure, practically salt-free drinking water (for example, good glacial water) should be used in the maximal quantity acceptable for every patient. Medicinal mineral waters should be specifically indicated. Generally speaking, it is advisable to use foods and water that meet general up-to-date standards developed on a strictly scientific basis. It is also desirable that these foods and water (according to well-known patents) should be recognized to have high anti-aging value and that the water should be “gerontologically pure.” Specific recommendations, which were an object of recent research, are also available. It is very important to take into account that, from the viewpoint of hierarchical thermodynamics, anti-aging diets and many drugs can be used for the prophylaxis and treatment of cardiovascular diseases, cancer, and some other illnesses as well. Gladyshev G. P. Supramolecular thermodynamics is a key to understanding phenomenon of life. What is Life from a Physical Chemist’s Viewpoint; Second Ed. : “Regular and Chaotic Dynamics”. Moscow - Izhevsk. 2003. 144 p. (In Russian). Gladyshev G.P. Thermodynamic Theory of the Evolution of Living Beings . N.Y.: Nova Sci. Publ. Inc. 1997. 142 p.
Gladyshev G.P. On the Thermodynamics of Biological Evolution // J. Theor. Biology. – 1978. – Vol. 75. - P. 425-441. Gladyshev G.P. Macrothermodynamics of Biological Evolution: Aging of Living Beings // International Journal of Modern Physics B. - 2004. –V. 18. – No. 6. - P. 801-825. Gladyshev G.P. Thermodynamic self-organization as a mechanism of hierarchical structures formation of biological matter // Progress in Reaction Kinetics and Mechanism (An International Review Journal. UK, USA). - 2003. - V. 28. – No. 2 - P. 157-188. Gladyshev G.P. Thermodynamics of biological evolution and aging // Electron. J. Math. Phys. Sci. - 2002.- Sem. 2. P. 1-15. Gladyshev G.P. On thermodynamic nature of cancer. Gladyshev G.P. Thermodynamic of Aging // Biology Bulletin. 1998 - V. 5.- No. 5. - P. 533-543. Gladyshev G.P. Gerontology and Physico-Chemical Dietology // Adv. Gerontol. 2004. V. 13. P. 70-80. (In Russian). Gladyshev Georgi Pavlovich. The method for measuring the gerontological value of bio-active substances and compositions, mainly foodstuffs and cosmetics // Canadian Patent 2,327,747. - 2004/12/14. Gladyshev Georgi P. The second law of thermodynamics and evolution of living systems // Proceedings. ECOS (18-th International Conference on Efficiency, Cost, Optimization, Simulation and Environmental Impact of Energy Systems). NTNU, Trondheim, Norway, June 20-23, 2005. G.P.Gladyshev, "Thermodynamic Direction of Biological Evolution: Model and Reality" , Biology Bulletin, Vol. 23, No. 4, 1996, pp. 315-322. Translated from Izvestia Akademii Nauk, Seriya Biologicheskaya, No. 4, 1996, pp. 389-397. G.P.Gladyshev, "Thermodynamic Trends in Biological Evolution", Biology Bulletin. Vol. 22, No. 1. 1995. pp. 1 - 9. Transated from Izvestiya AN. Seriya Biologicheskaya. No. 1. 1995. pp. 5 -14. Original Russian Text Copyright ¿ by Gladyshev. G.P.Gladyshev, "Thermodynamics of Aging", Materials for the Symposium "Termodynamics and Information Theory in Biology",1998. G.P.Gladyshev, The Motive Force of the Evolution of Living Matter and theThermodynamic Theory of Aging. Life in the Universe originated and is evolving in accordance with the general laws of nature, specifically, the law of temporal hierarchies and the second law of thermodynamics. G.P.Gladyshev , Thermodynamics of Aging .Biology Bulletin, N 5, ISSN 1062-3590, 1998. K.G.Denbigh "Note on Entropy, Disorder and Disorganization"
K.G.Denbigh "DISCUSSION - Comment on Barrett and Sober's Paper on the Relevance of Entropy to Retrodiction and Prediction"
What is the gerontological value of bio-active substances and compositions ?